This article has been created in order to explain what is the Sunglasses 85% Off scam and how to learn how to stop it from your computer effectively. The notorious Sunglasses 85% Off scams are now back with a lot of e-mails that are sent advertising a solid discount on different types of sunglasses. 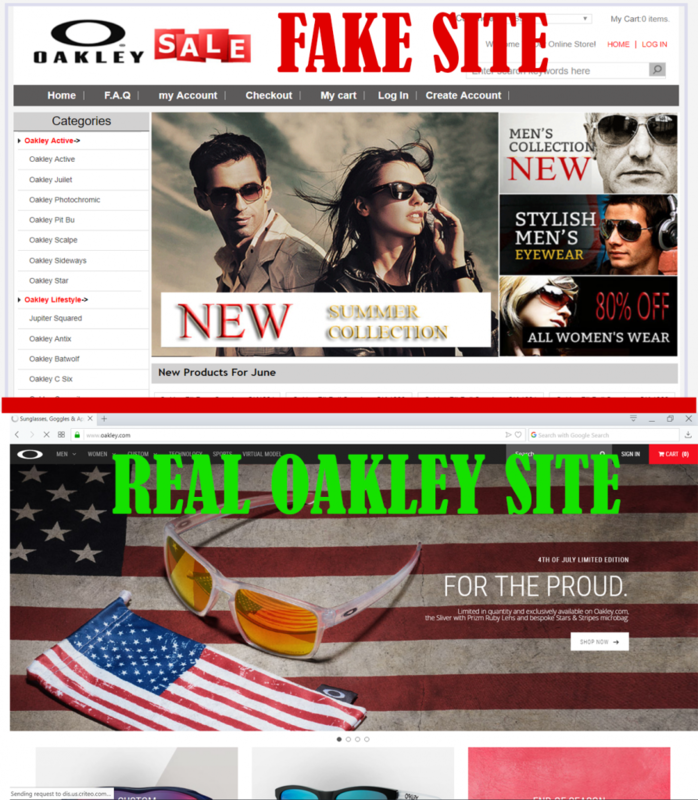 What is new for the scam is that now the scammers have stopped imitating e-mails coming from RayBan and are using another company for sunglasses – Oakley. Furthermore, in addition to this, the scam is also using pictures of sunglasses models alongside which a web link to websites which are likely fake ones. The end goal is to get users to visit a fake web site which aims to get users to make purchases via those sites. This may end up badly for you as a user, since the sites may either gather financial information or may only take you money and send you not the product you ordered, but something worth nothing. 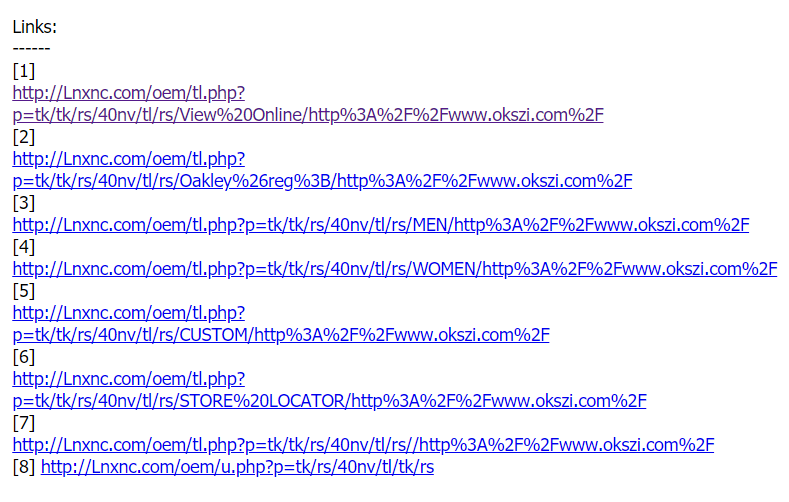 Short Description Aims to trick victims into visiting what appears to be a fake and unsecured online retailer web page . Symptoms You receive e-mails, called “Oakley Sunglasses 85% Off. 2018 Styles”. Previous version uses RayBan instead of Oakley. User Experience Join Our Forum to Discuss Sunglasses 85% Off. You’re part of Oakley MVP program. *Get Free 2-Day Shipping on orders $50+. Terms and Conditions apply. communications. CLICK HERE TO UNSUBSCRIBE  COPYRIGHT ©2018 OAKLEY, INC. ALL RIGHTS RESERVED. 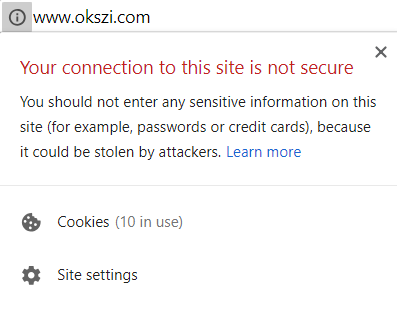 But this is not all, since the site also does something that is basically illegal and that is to use over 10 different cookies in order to obtain different information from your computer. The types of data which may be leaked as a result of this are many, but our personal belief is that this website is used for the main goal of stealing your credit card details or getting you to make an order and send it to a bank account that may belong to someone who does not exist. Ofcourse, if you see this scam, the easiest action is to delete it from your mail and forget about it. But in most cases the crooks try to send other scamming e-mails to the same addresses they did before. This is why, you will need to learn how to set up an e-mail blacklist and add the scammers to it each time. 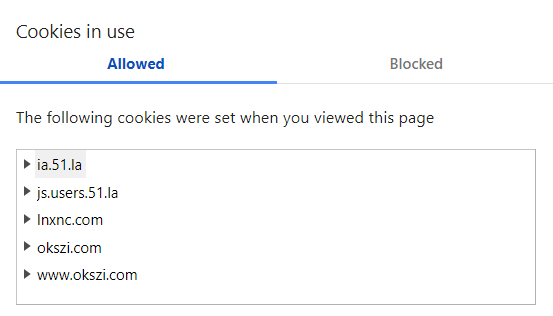 Below, you can a list of several services which you can use to block out these e-mails in the future. 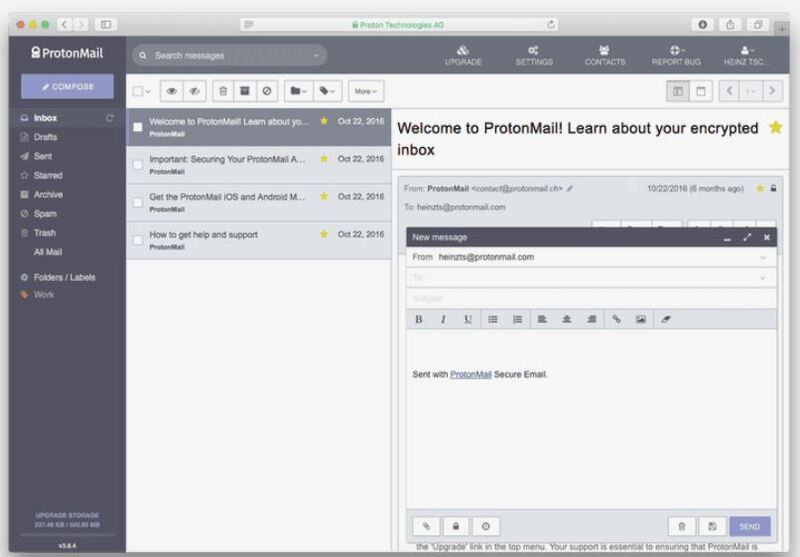 ProtonMain represents a free and an open-source software which uses it’s custom e-mail, that is encrypted. So besides anonymous mail, based in Switzerland, you also receive the ability to work with it from any computer and even via online applications. 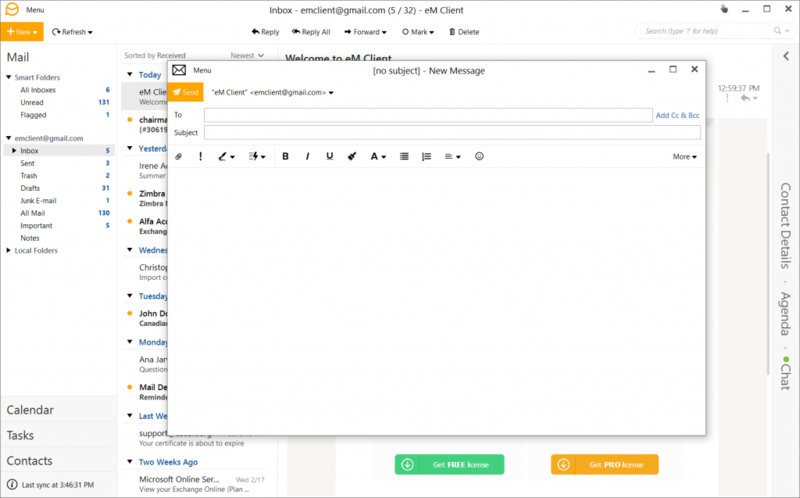 The most important feature, realted to these e-mails is that even if attackers know your password, they have to battle with encryption to which only specific devices that you are using have access to. Really legitimate and reuptable service, however you have to create a new e-mail account as a downsite. Often voted the best email client which has support for range of e-mail providers, this service can surely make it so that you wont receive spam messages in the future as well. 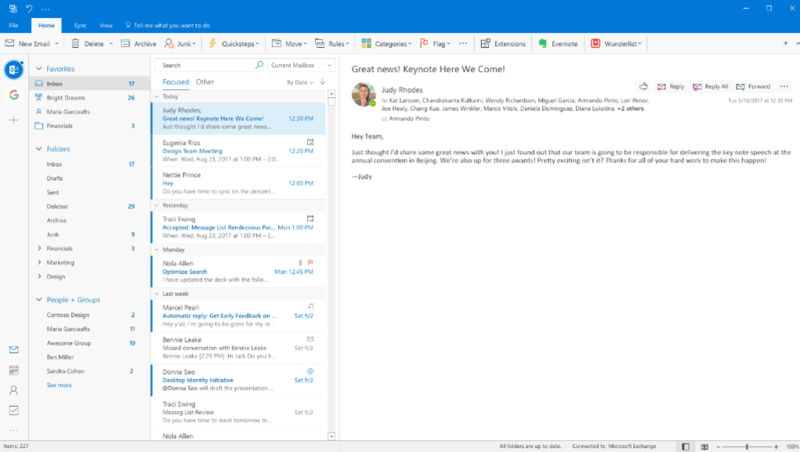 Probably one of the easiest to use services for e-mail, often among companies, the Microsoft Outlook service is the most user friendly of the bunch even though it has had it’s issues over time, Microsoft has made sure that they warn you in case your account has been compromised. 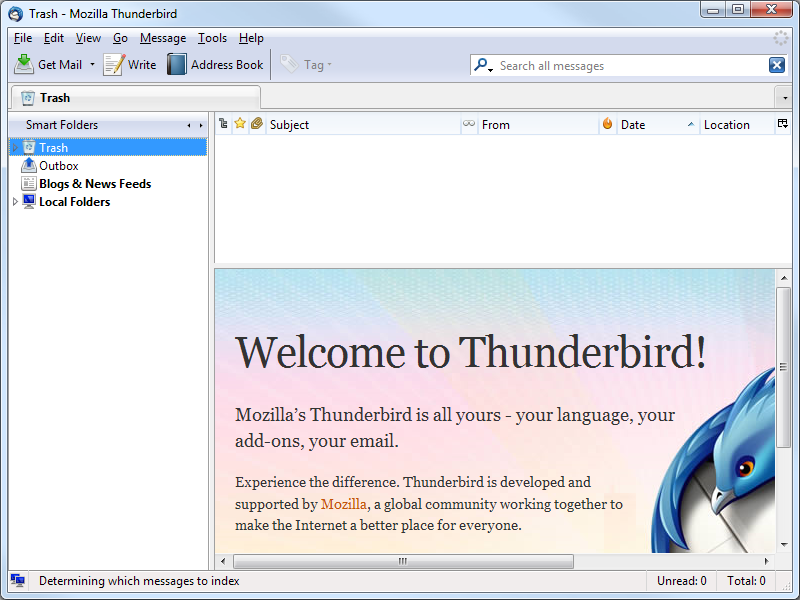 Even though it has less security features than the other software here, Thunderbird is a great tool that aims to help you in a variety of situations, Thunderbird makes sure to remain as secure and as user friendly as possible while offering you fast and simple service. Threats such as Sunglasses 85% Off may be persistent. They tend to re-appear if not fully deleted. A malware removal tool like Combo Cleaner will help you to remove malicious programs, saving you the time and the struggle of tracking down numerous malicious files. Threats such as Sunglasses 85% Off may be persistent on your system. They tend to re-appear if not fully deleted. A malware removal tool like SpyHunter will help you to remove malicious programs, saving you the time and the struggle of tracking down numerous malicious files. Note! Your computer system may be affected by Sunglasses 85% Off and other threats. SpyHunter is a powerful malware removal tool designed to help users with in-depth system security analysis, detection and removal of threats such as Sunglasses 85% Off. 1. Install SpyHunter to scan for Sunglasses 85% Off and remove them. 2. Scan with SpyHunter, Detect and Remove Sunglasses 85% Off. Ransomware infections and Sunglasses 85% Off aim to encrypt your files using an encryption algorithm which may be very difficult to decrypt. This is why we have suggested several alternative methods that may help you go around direct decryption and try to restore your files. Bear in mind that these methods may not be 100% effective but may also help you a little or a lot in different situations. Note! Your computer system may be affected by Sunglasses 85% Off or other threats. Remove Sunglasses 85% Off by cleaning your Browser and Registry. Fix registry entries created by Sunglasses 85% Off on your PC. Combo Cleaner is a powerful malware removal tool designed to help users with in-depth system security analysis, detection and removal of threats such as Sunglasses 85% Off. Step 5: In the Applications menu, look for any suspicious app or an app with a name, similar or identical to Sunglasses 85% Off. If you find it, right-click on the app and select “Move to Trash”. Step 6: Select Accounts, after which click on the Login Items preference. Your Mac will then show you a list of items that start automatically when you log in. Look for any suspicious apps identical or similar to Sunglasses 85% Off. Check the app you want to stop from running automatically and then select on the Minus (“–“) icon to hide it. Remove Sunglasses 85% Off – related extensions from your Mac’s browsers. A pop-up window will appear asking for confirmation to uninstall the extension. Select ‘Uninstall’ again, and the Sunglasses 85% Off will be removed. When you are facing problems on your Mac as a result of unwanted scripts and programs such as Sunglasses 85% Off, the recommended way of eliminating the threat is by using an anti-malware program. Combo Cleaner offers advanced security features along with other modules that will improve your Mac’s security and protect it in the future. Hey !, I found this information for you: "“Sunglasses 85% Off” E-Mail Scams – How to Stop (Block) Them". Here is the website link: https://sensorstechforum.com/sunglasses-85-off-e-mail-scams-stop-block/. Thank you.